Thomas Mackey, was from Co Limerick, Ireland. He was baptised on April 24, 1853 in Kilduff in the Parish of Pallasgrean & Templebredon in Co Limerick. His godparents were Patrick Mackey and Mary Treacy. His mother was Bridget Treacy and his father Thomas Mackey, a farmer. 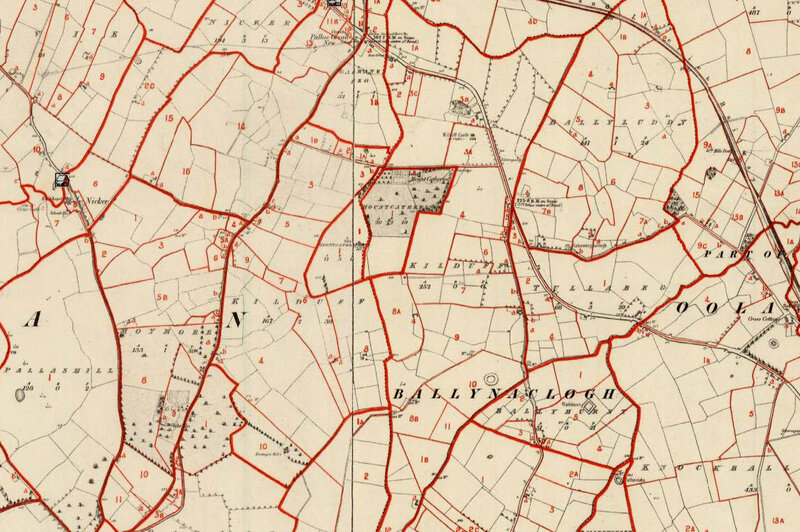 In Griffiths Valuation in the townland of Kilduff (1.5 kms from Pallasgrean) published in Nov 1850 there is a Thomas Mackey a farmer and also a John Mackey. Most likely this is the father of Thomas Mackey my ggrandfather. 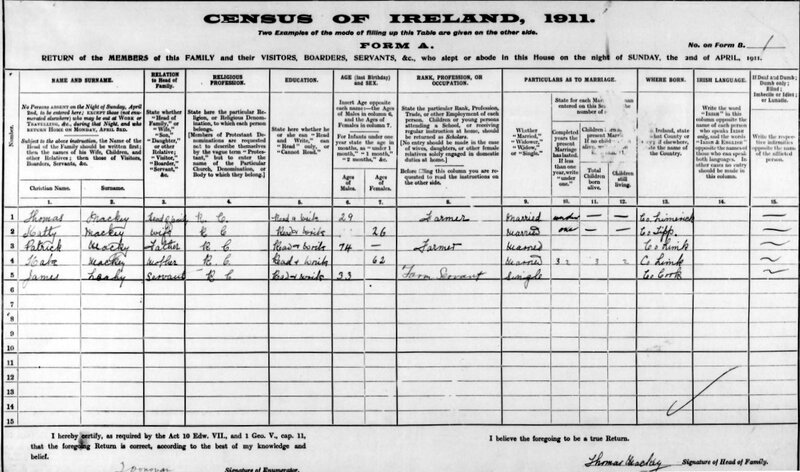 In the 1901 Census for Kiduff Co Limerick Patrick Mackey and his family are listed. He was born about 1851 and is most likely an older brother of Thomas. Thomas Mackey came out to Victoria about 1880 and was a draper. One of his descendants told me he was a floor walker in a major department store in Melbourne at some time in his working life. In 1882 his address was Bourke St Melbourne and he was a draper. From 1903-1924 he lived in McPherson St Essendon. Three of Thomas’s brothers and one sister and an uncle all came out to Australia, although not at the same time. 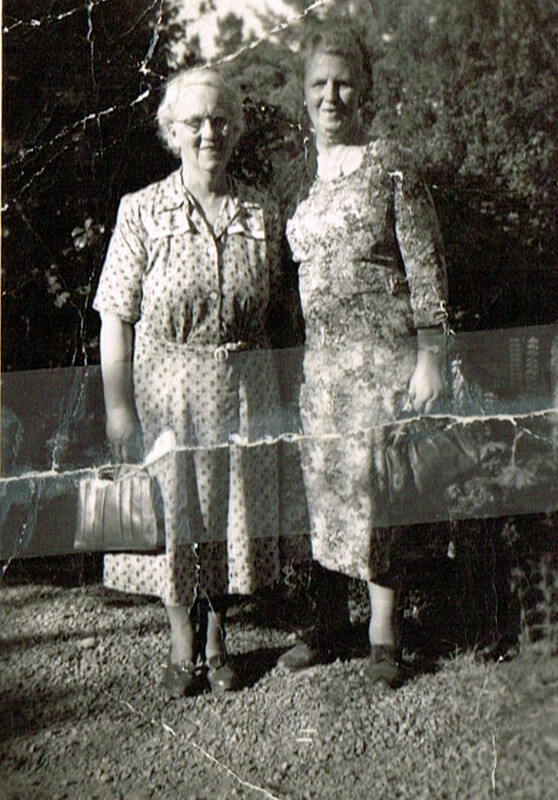 There may also have been cousins as well who made the journey from Ireland. His sister Catherine, born in 1835, and who married William Real in Co Limerick, came out in 1857. 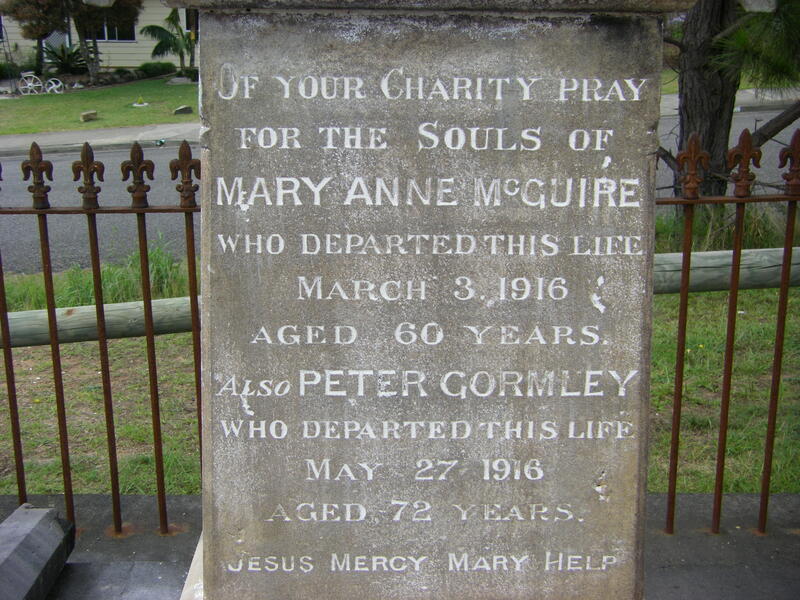 She died in 1900 in Northcote, Victoria. 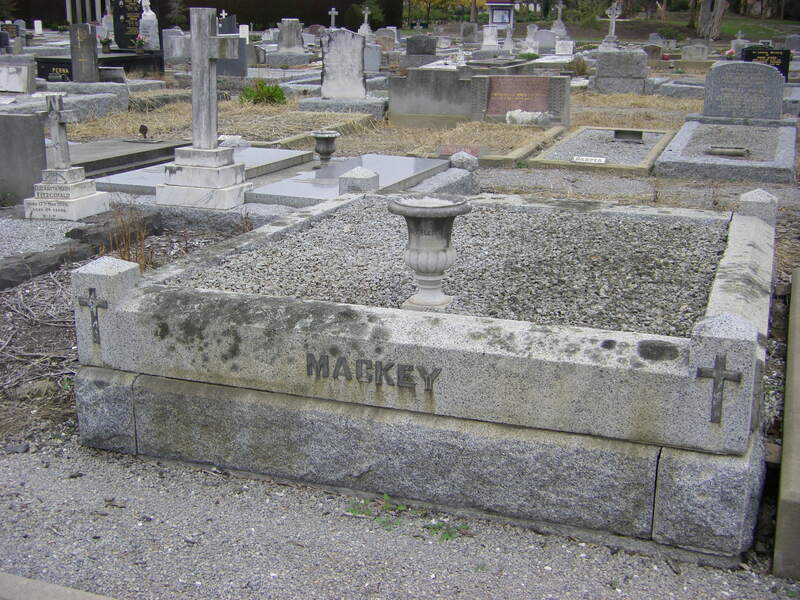 Daniel Mackey who was born in 1842, died in Bendigo, at age 30, after being out here for only three years. He is buried in Sandhurst Cemetery, Bendigo, Victoria. There was a Daniel Mackey with a William and Nicholas Mackey (possibly cousins) who came out on the “Ocean Empress” in 1862. 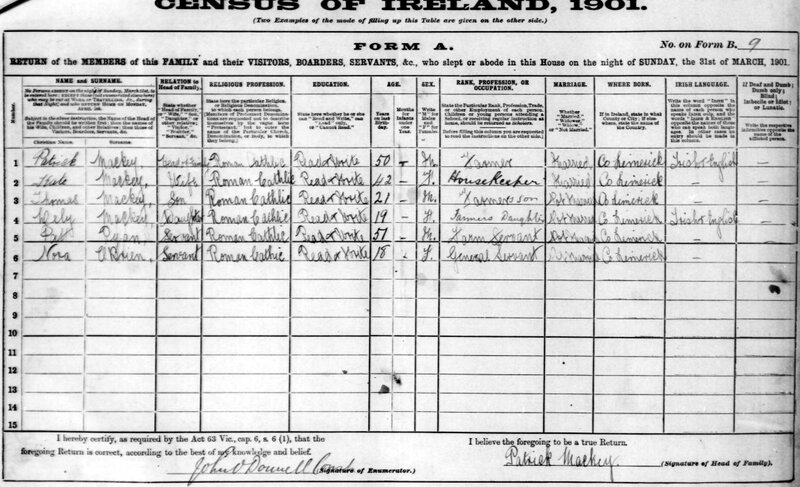 Catherine and Daniel Mackey are listed as being born in Pallasgrean Co Limerick. Edmond Mackey born 1856, also emigrated to Victoria. There he married Julia Ann Briscoe and they had a family of eight children. 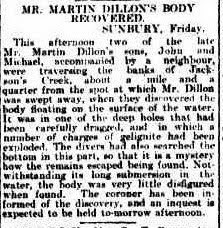 He died in Fitzroy in 1906. Thomas Mackey aged 29, married Bridget Christina Burns, aged 23, on May 1, 1882 at St Mary’s Church, Echuca, Victoria. 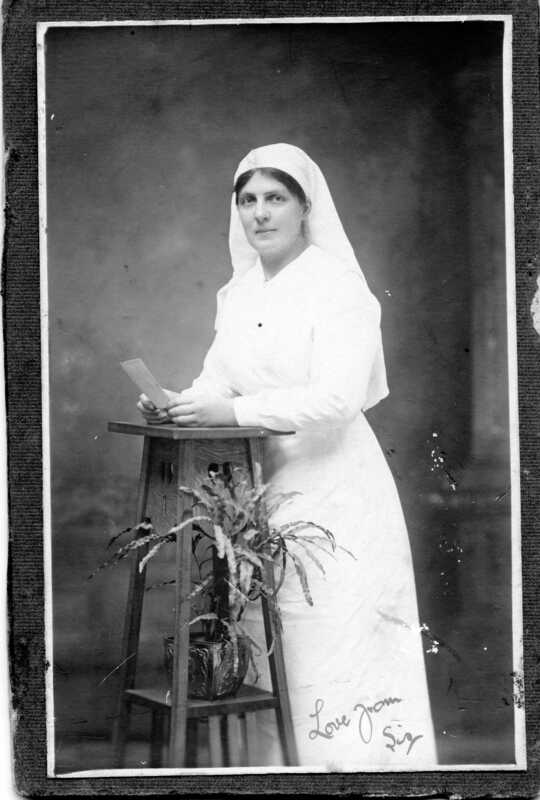 Bridget Christina Burns was born in Sunbury, Victoria in 1859. Her parents were Bryan Burns and Mary Canavan, both from Co Galway Ireland. 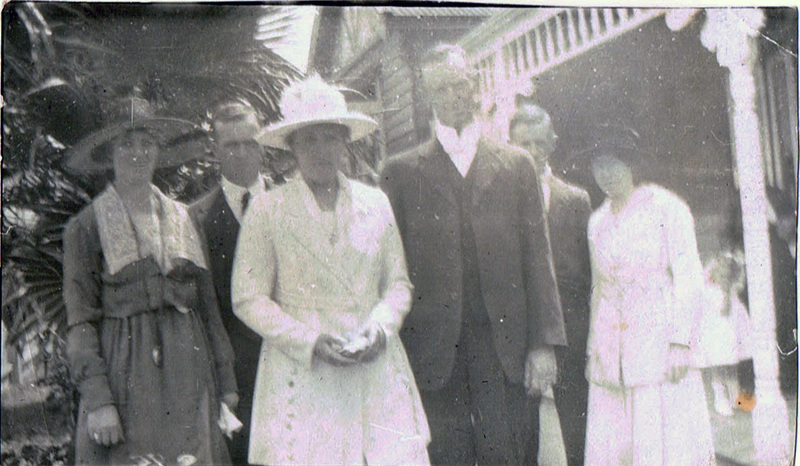 Thomas and Bridget had nine children: Thomas Bernard 1883-1957, who married Anastasia Hearn; Eileen Alana 1884-1929 married, Joseph Glass and lived at Yackandandah; Victor Francis 1886-1944, married Adelaide Mathews; Mary Margaret 1888-1981, married Archibald Breen, Ida Theresa 1890-1974, married Francis Collins Fanning; Edmond John 1893-1951, married Ethel Belden; Christopher Patrick 1894-1958, married Barbara Pleasant Lohman; Alfred William 1896-1963, married Alice May Shanks; Doris Catherine 1899-1954, married Francis Cyril Antonie. Thomas Mackey died on the first of June, 1926, aged 73, from bronchitis and cardiac failure. He is buried in the Fawkner Cemetery Melbourne Victoria Australia. surgeon-superintendent. Young & Co. agents. On board were Connor Gormley, his wife Ann, sons Thomas and Peter, daughters Sarah, Eliza, and Ellen. 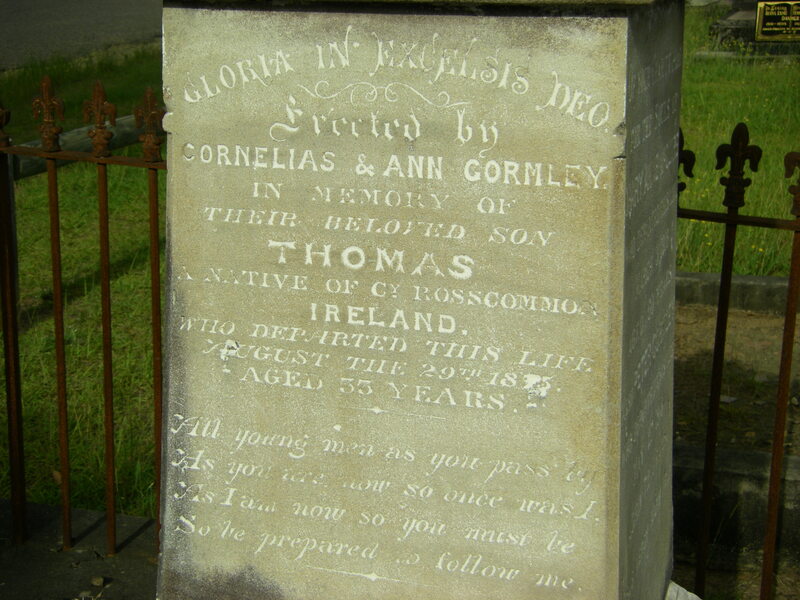 Cornelius’s father was Thomas Gormley. In Griffith’s Valuation for Co Roscommon, Ireland, 1851, there are two listings for a Thomas Gormley in the Parish of Kilcorkey. One is in the townland of Bellanagare for 3 acres of land and the other is in the townland of Bellanagare Village for a house and yard. 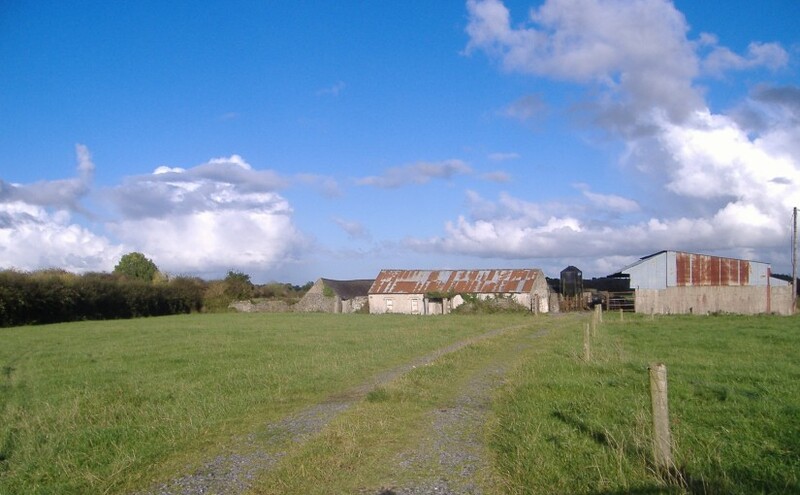 There are no other listings for a Thomas Gormley in Co Roscommon. The obit for Cornelius Gormley in The Sydney Freeman’s Journal below states he was from the Parish of Elphin. 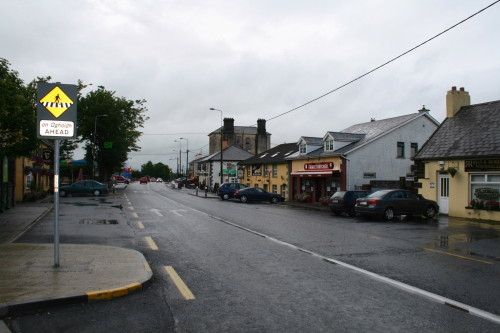 This parish is next to the Parish of Kilcorkey. 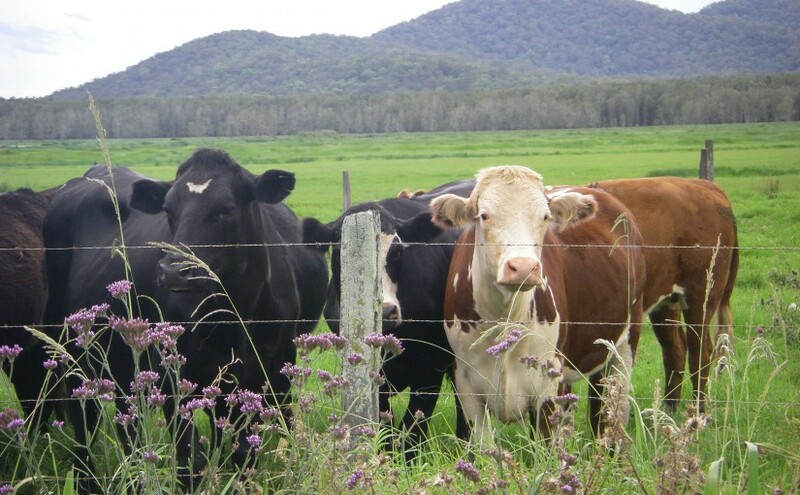 The Gormleys lived at Belmore River, which is in the Macleay Valley, on the Mid North Coast of NSW. In Greville’s Post Office Directory 1872 for the town of Gladstone, there are three Gormleys listed at Belmore River: Cornelius Gormley, James Gormley and John Gormley. They are all farmers and may be brothers of Cornelius or cousins from Co Roscommon. 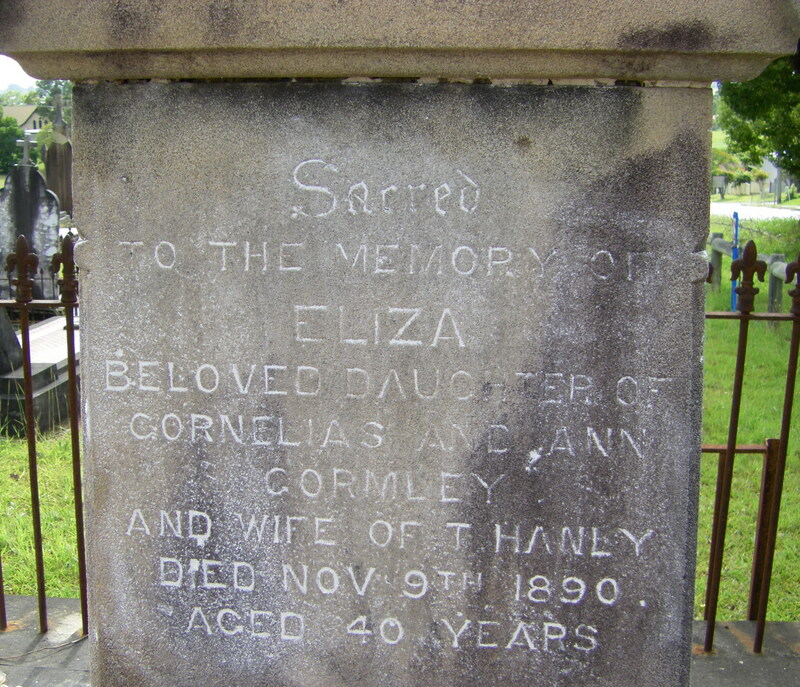 Most of the Gormleys are buried in Fredrickton Cemetery which is just north of Kempsey in NSW. 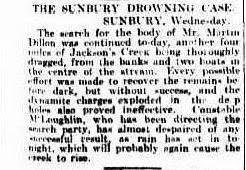 DEATH OF MR. CORNELIUS GORMLEY. Catholic has passed away in the person of Mr.
tate their modes of travelling through the district. and three daughters, and several grandchildren. So be prepared to follow me. 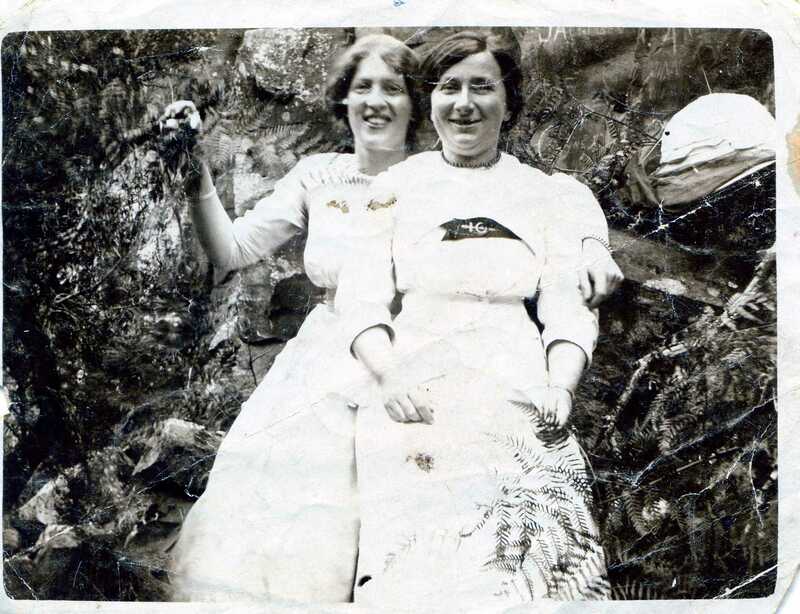 My father’s uncle John Hugh Fanning married Hannah Kelleher, called Nance. She was a descendant of the Kellihers from Callinafercy Co Kerry Ireland. They lived in Kilmore Victoria Australia. 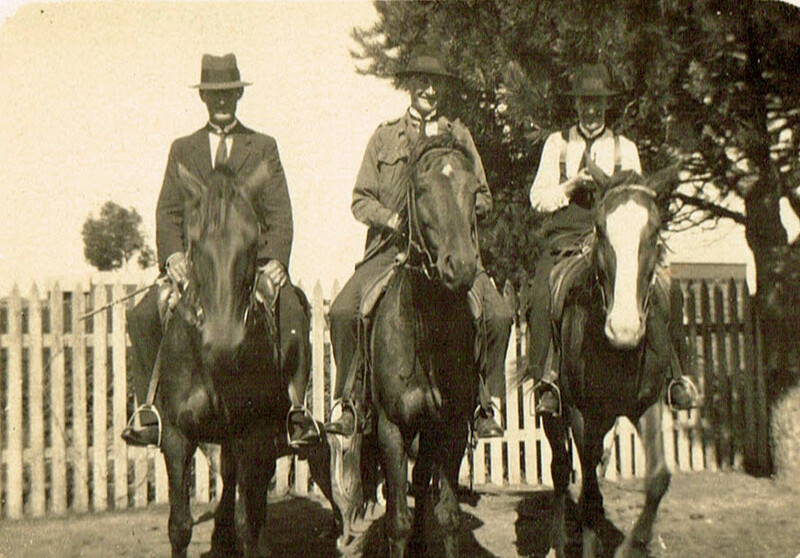 My grandfather Frank Fanning on the left with Pat Kelleher on the middle horse. Pat was Nance’s brother. 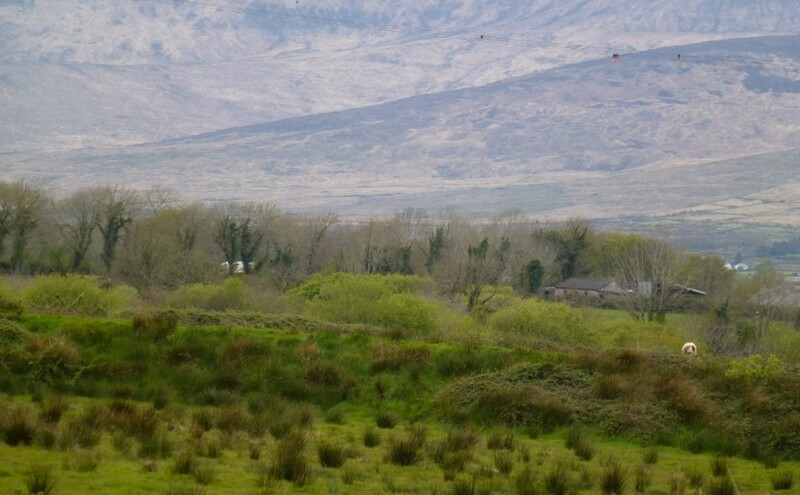 When I visited Co Kerry this year I was surprised to see that the area where the Kellehers came from was very good farming land and like all of Ireland very beautiful. The following report details the descendants to five generations of William Fannin (1731-1802) & Sarah Ryan (1742-1817) of Lissaroon Co Tipperary Ireland. Both are buried in Ballycahill Cemetery Co Tipperary. 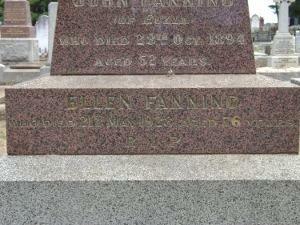 William and Sarah Fannin are the earliest Fanning ancestors I have been able to trace so far. Patrick Collins, my ggggrandfather, was a member of the Royal Irish Constabulary. He was born in Co Limerick but as was the custom was stationed far from home and family in Co Down. After his seven years was up he married Mary Gribben. Mary Gribben was born in Co Down her parents were Mary Carlin and John Gribben. They all emigrated to Australia from Liverpool in 1857. John Gribben was born in Dromara Co Down about 1793. One of his sons Hugh emigrated to New Zealand and died there in Greymouth. There is a branch of the Gribben family in New Zealand today. There is more detailed information on the Collins family in Patrick Collins Co Limerick Ireland to Northcote Victoria Australia. 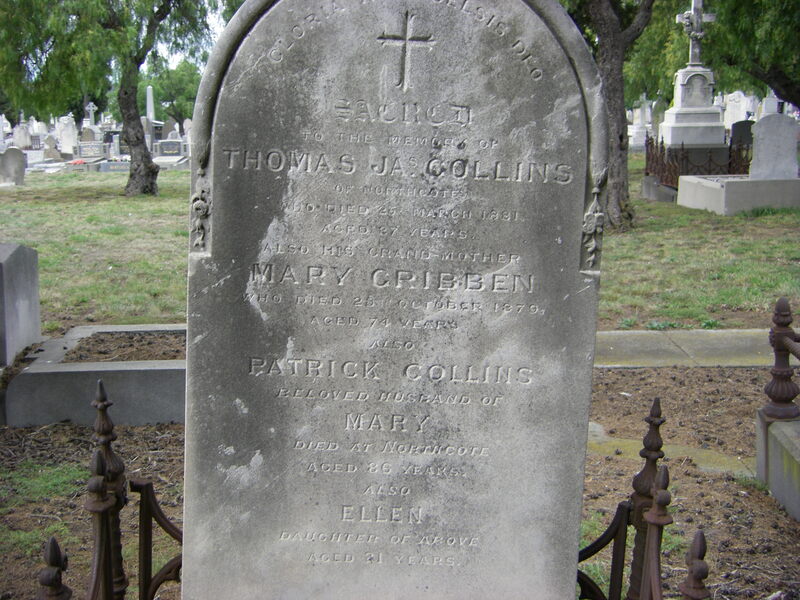 Patrick Collins was born in Co Limerick Ireland about 1819 and died 20 Feb 1905 in Melbourne Victoria Australia. His father was Patrick Collins and his mother Bridget McNamara. She also came to live in Melbourne with her son and his family in Northcote. He married Mary Gribben in Co Down about 1845 when he was 33. Patrick Collins came out to Australia from Ireland about 1853. He worked as a Police Constable in Melbourne. I have not been able to find any birth records for Patrick in Co Limerick or Tipperary and Co Clare records are not online yet. In the RIC records there is a Patrick Collins listed born Co Clare and all the dates fit. This Patrick enlisted in 1845 and was 24. The enlistment and birth dates are right for our Patrick. I also found records for one of Patrick’s brothers and he was born in Co Tipperary and records for this Thomas Collins’ children and they were born in either St John’s or St Michael’s Parishes in Co Limerick. Birth records for some of Patrick’s siblings have them being born in St Michael’s or St John’s also. 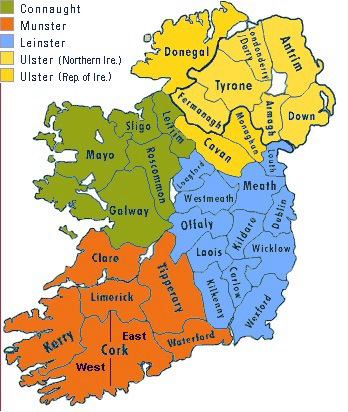 So it seems the Collins family came from near the borders of counties Limerick, Tipperary and Clare in the north east of Co Limerick. 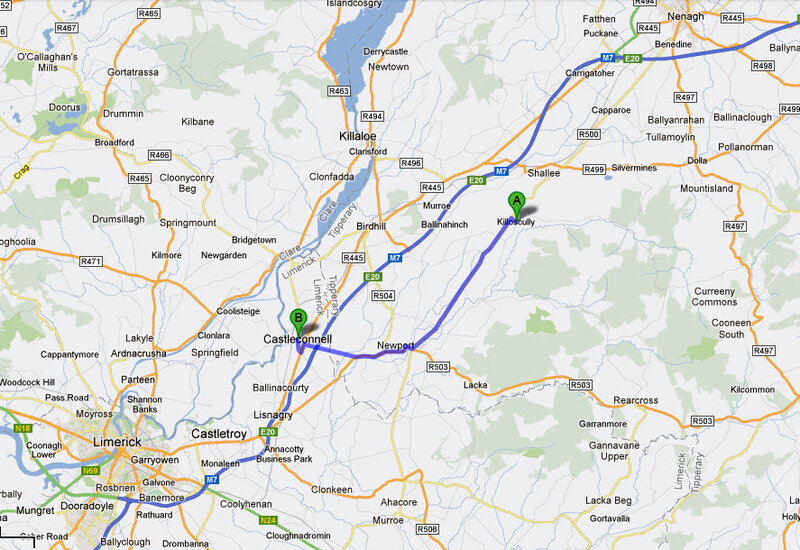 Map showing Limerick City, Castleconnell and Killoscully places where Collins family were born. His mother Bridget was born c1788 in Co Limerick Ireland. 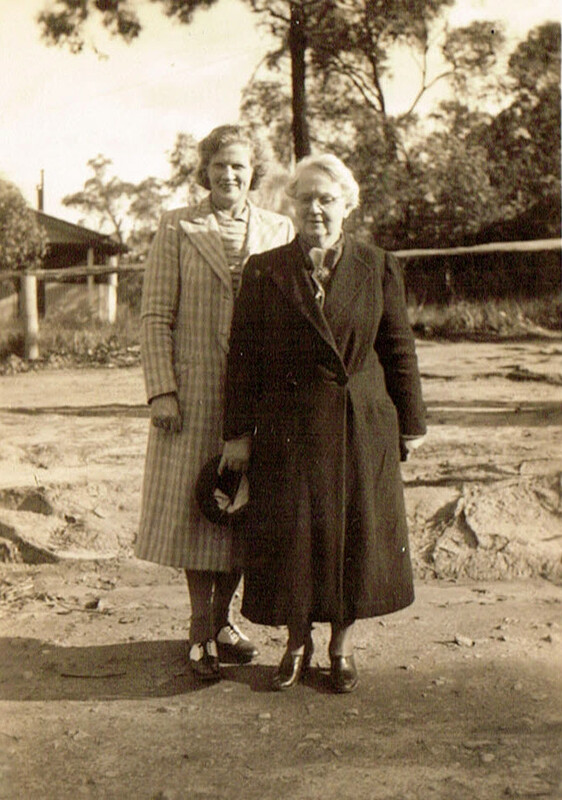 When she came out to Australia it is quite possible that she was accompanied by her granddaughter Annie Josephine Collins. 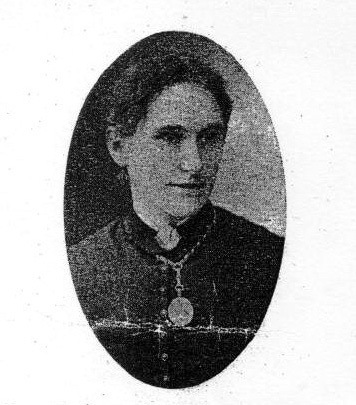 Annie Josephine was Patrick Collin’s niece and married James Henry Meehan. 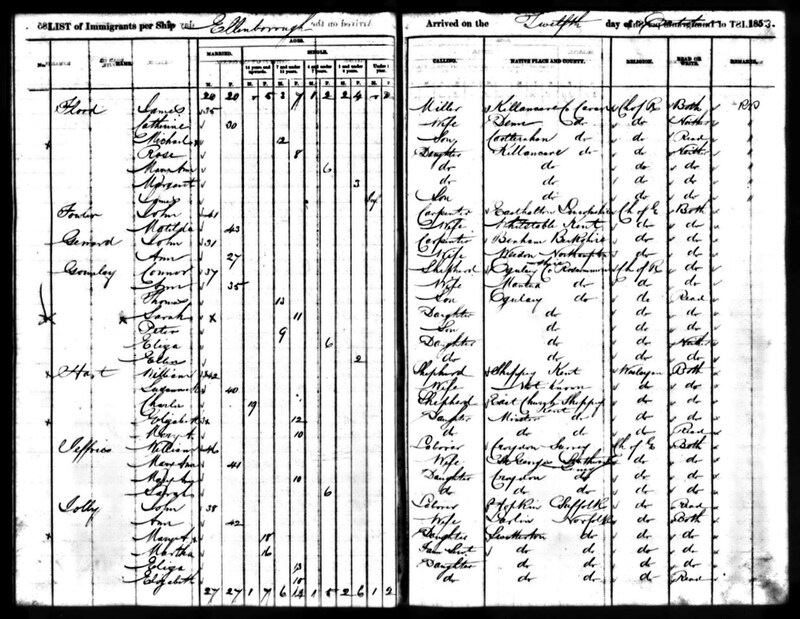 Mary Collins and Patrick Collins, their son Thomas and Mary’s parents (John and Mary Gribbin) and brother (John Gribbin) all came out to Australia on the “Miles Barton” which left Liverpool, with 400 passengers, bound for Melbourne on June 26, 1857 and arrived 30 Sept 1857. They came as unassisted passengers. Patrick came out earlier. On Patrick Collin’s death certificate it says he came out c1855, although this is not necessarily accurate. 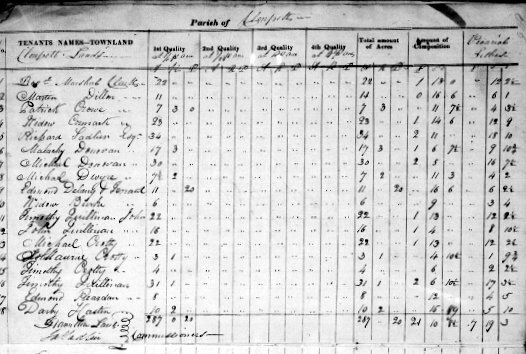 On Patrick Collin’s police record it says he joined the Victorian Police Force on the 19th of September 1856 and that before that he had been on the “diggings”. In Ireland he had been employed in the “Constabulary” for seven years. This would have been the Irish Constabulary which was formed in 1822 . It was renamed the Royal Irish Constabulary or R.I.C. in 1867. It was however only after the First World War, when large numbers of ex English, Scottish and Welsh soldiers were employed that the R.I.C. 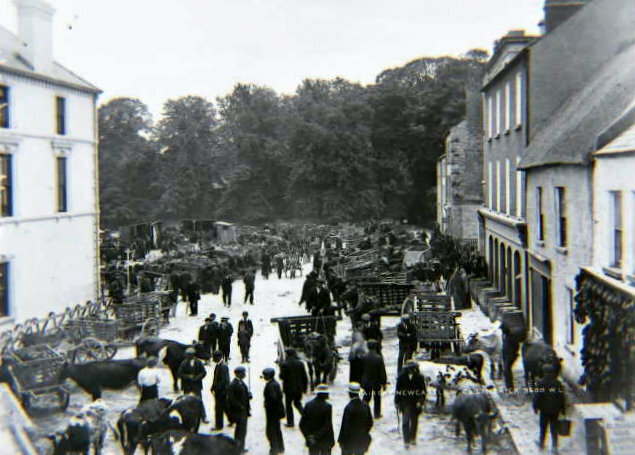 become know as the “Black and Tans”, hated for their brutality towards the Irish people. When Patrick joined the Irish Constabulary they only accepted single men but after 7 years, with permission from their superiors, they were allowed to marry. A police constable would not have been allowed to work in his home county and this may explain how Patrick, born in Co Limerick, came to marry Mary Gribben from far off Co Down. Once married he would not be allowed to work in Co Down or Co Limerick. He emigrated to Australia soon after marrying. Patrick was five feet ten inches tall, with a pale complexion and dark brown hair and blue eyes and a “not smart” general appearance! He was 32 when he joined the Victorian Police Force and married. I suspect he was actually 37 as the dates on other documents agree with this. He may have taken a few years off his age to get accepted into the Police Force. Patrick Collins spent more than 17 years as a policeman in Victoria. His Police Record gives some idea of his life out on the beat. His police record has him being “drunk on the morning of the 2nd inst” in 1860 and again “being under the influence of Drinke” in April of the same year and being fined 5 shillings. His superior did however remark that “this constable has always conducted himself in a steady sober manner”. On Sept 7 he was “sitting in a shop reading a newspaper when on duty” he pleaded guilty and was duly fined 8 shillings and transferred to the City. In 1863 he is stationed in Fitzroy and on the 7th of Jan “drunk returning off duty at 9PM” fined 10 shillings. Patrick was fined the same amount again for being absent from his beat and under the influence in June 1863. The following year he was caught talking and walking with a female when on duty and “improperly working his beat” Again he is fined but this time it is the smaller amount of 5 shillings and sixpence. The more serious charge of “Misconduct as a Const” was made against him in 1865 and he was fined 30 shillings. No elaboration on what this misconduct involved was recorded. This is the only charge on his record sheet that he pleaded not guilty to. The Police must have been very strict or on his case, as Patrick Collins was in 1865 cautioned for being 7 minutes late for duty at 8.45 p.m. In 1866 and 1871 there are entries which may relate to him being ill it is hrd to decipher the abbreviations and writing. It does look like he was off work on half pay for several years. In 1873 it is noted that he has been on half pay due to ill health and this continues up to 25 June 1876 when he is given a back dated discharge. He was superannuated from the Police Force on the 31st of December 1873 with the rank of Constable. He lived with his family in Northcote Melbourne. Patrick and Mary Collins had 12 children 9 of whom lived to adulthood. Thomas was born in 1854 in Co Down Ireland, Francis Patrick born c 1856, John Thomas 1858, Patrick Francis 1859, Bridget Anna (who married Edward Fanning) born 1869, Mary Josephine (nicknamed Tottie) born 1861, John Hugh born c1864, Annie born 1864, Theresa born 1865, Ellen Mary born 1867, Sarah Anne (who became Edward Fanning’s second wife) born 1870 and Theresa Anna born 1972. Thomas James, their eldest son, died tragically in 1881. 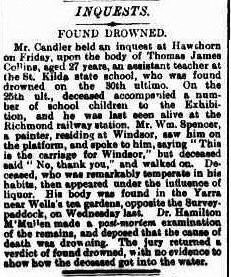 His death was reported in The Argus, April 1881. On the 1903 Electoral Roll for Victoria he is listed as a man of Independant Means. His Will and Probate papers are online at the Public Records Office Victoria PROV. In his will he leaves everything to his wife Mary for herself and the support of his three unmarried children: Mary, John and Theresa, until they marry. If they marry they are to be given the use of one of his houses in Greeve St Fitzroy for 21 years. After this time the house is to be sold and the proceeds equally divided amongst the remaining children. A sum amounting to one half of a share went to each of his two grandchildren, William Patrick “Bill” Fanning and Edward “Ned” Fanning. Nothing was left to his other two grandchildren by his daughter Sarah. His total estate was worth 2,000 pounds at the time of his death in 1905. He owned a six roomed weatherboard house in Waterloo Rd Northcote as well as four, old, three- roomed brick cottages in Young St Fitzroy ( Nos 270,272,274 and 276 Young St). He also owned four, brick cottages in Greeves St Fitzroy, nos 27, 29 and 131 Greeves St.
One story I have heard repeated in the family is that Patrick Collins was a High Court Judge back in Ireland. I haven’t found anything to back this up and in Victoria he was a Police Constable. 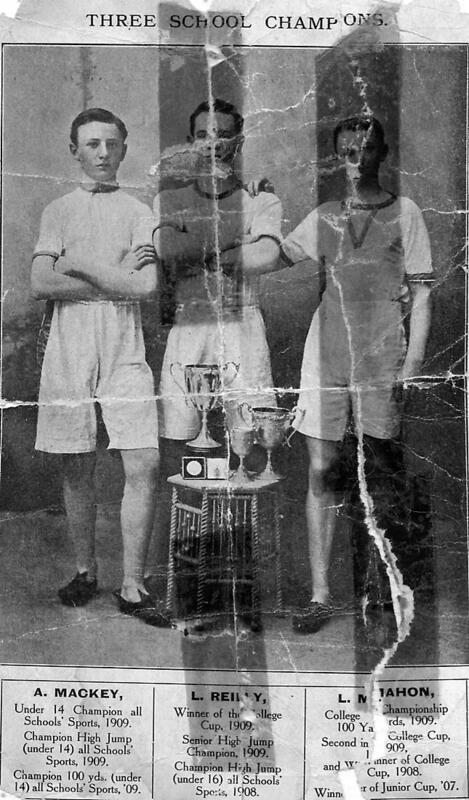 Patrick Collins paid for the education of his two grandchildren,William and Edward Fanning, at Xavier College, a prestigious school in Melbourne. 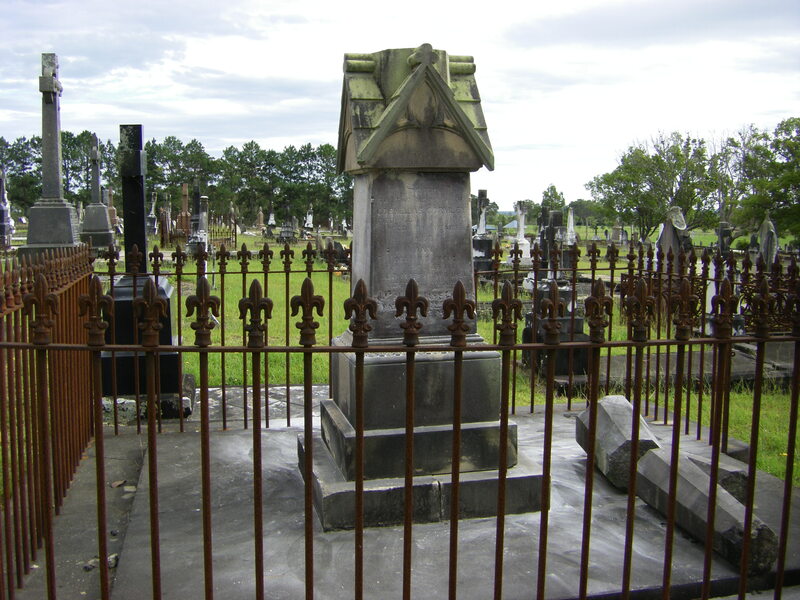 The Collins family graves are in the Melbourne General Cemetery in Carlton. 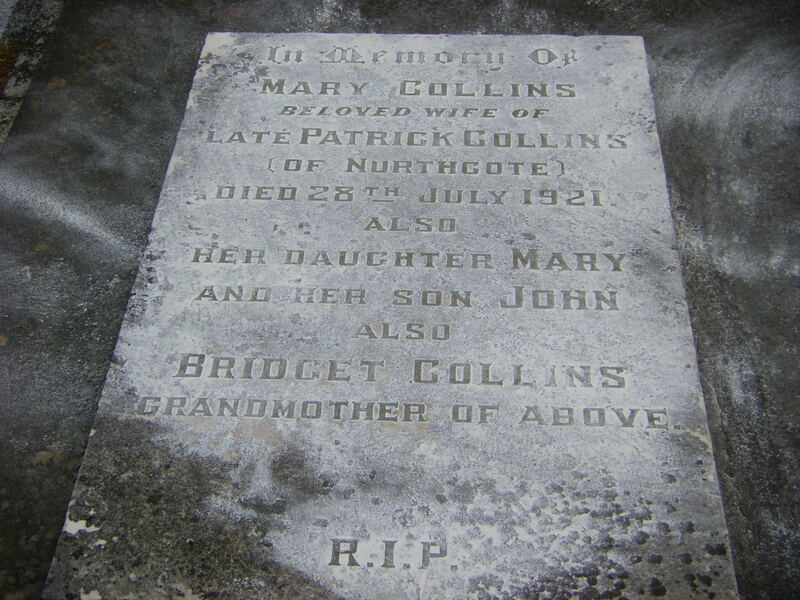 The first grave is that of Mary Collins nee Gribben, wife of Patrick Collins of Northcote. She died 28th July 1921. Their son John Collins, born 1858 died 1859, and daughter Mary Collins, born 1861 died 1917, are buried here also. Also Patrick Collin’s mother, Bridget Collins nee McNamara, born c1788 in Co Limerick and died at Northcote, 27 August 1881. The second grave is that of Thomas James Collins, who died Mar 25 1881, aged 27 years. He was born in Co Down, Ireland about 1854. Also buried here is Mary Gribben nee Carlon. She who was born about 1804 in Co Down, Ireland and married to John Gribben. 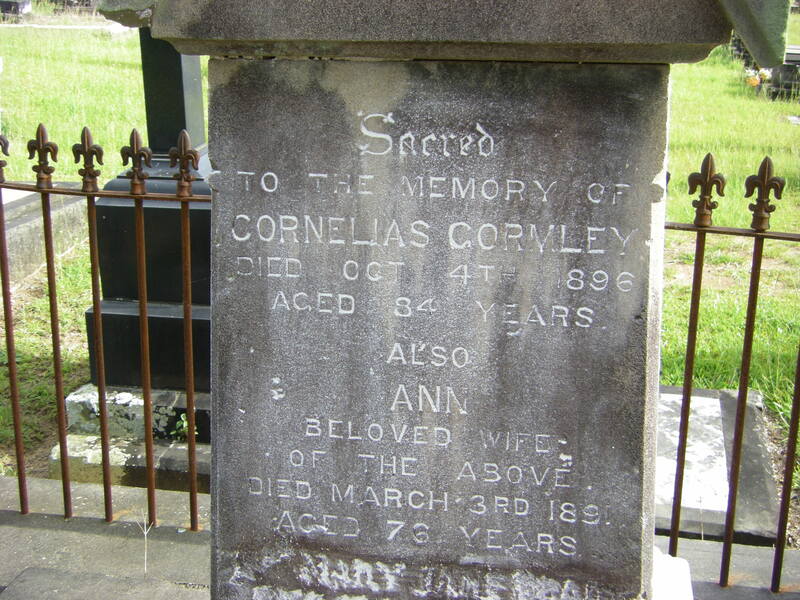 She died 28 Oct 1879, aged 74 and was Patrick Collin’s mother-in-law. 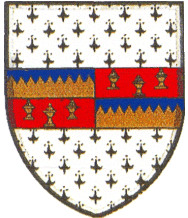 Patrick Collins, the patriach of the Collins family, died age 86, on 20 Feb 1905. He was born c 1819 in Co Limerick, Ireland. Also buried here is Ellen Collins born c 1867 and died, age 21, on June 14 1888. She was one of Patrick and Mary Collin’s daughters. They had 12 children. 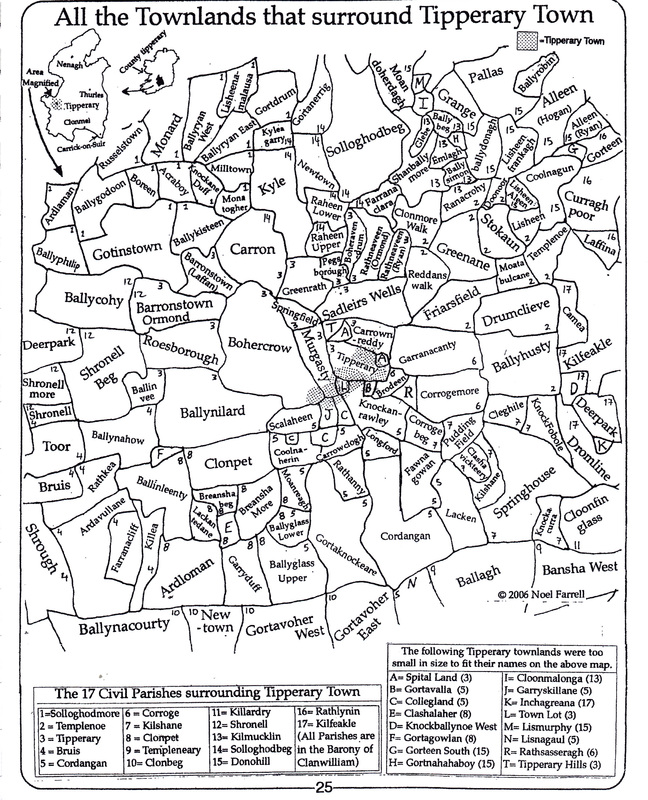 The genealogy report which follows details the descendants of the earliest Collins ancestor from Co Limerick Ireland.